Lewis Hamilton took pole position for the Abu Dhabi Grand Prix. Five-times Formula One world champion Lewis Hamilton led a Mercedes front-row lockout with pole position at the season-ending Abu Dhabi Grand Prix on Saturday. 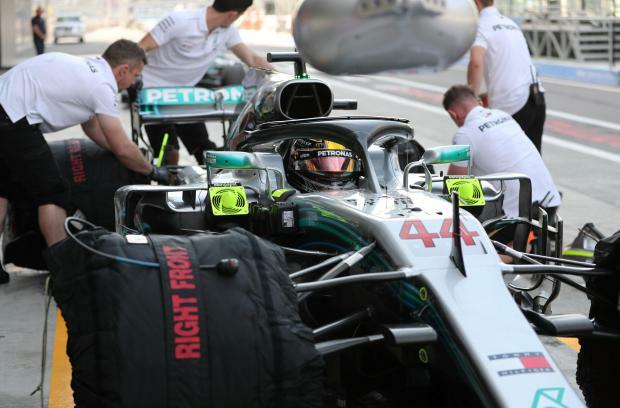 The pole was a record-extending 83rd of the Briton's career and 11th of the season, as well as the fifth year in a row that Mercedes have swept the front row at the floodlit Yas Marina circuit. Hamilton's pole lap of one minute 34.794 seconds was also a track record.